Most press trips I go on, I'm the only "blogger" on site. The rest of the trip go-ers are print journalists and they are there to write about their experience. That's it. They are there as writers. They aren't there to capture the perfect picture, to share their entire experience on stories or to post on seven other social networks continuously throughout the day. And THIS makes them better writers. They are experiencing the places they are in. They are taking notes (many of them by hand....shock horror, people still write). It is in these moments that I forget I play for the other team - the social team. I am supposed to be running around like a headless chicken making sure every angle is covered at every single second of the activity. Only, dear reader, I stopped doing that. I've taken a step back from the crazy "must do it all and share it all" mentality because it takes away from what I am sharing as a whole. If I am just throwing things at you constantly, I'm giving them no consideration, I'm getting lost in the moment for the wrong reason and not taking in whether something is amazing or subpar. I'm just sharing, sharing and sharing some more. Ultimately I'm only as good as the last thing I throw out there as fabulous. If you were to buy, book or stay at a place I've recommended and there's truly nothing special at all about it, chances are you'd never want to follow any of my suggestions again. So why am I sharing all of this, now, alongside a tea review? Well, let's just get it out there... half of it is to explain away the lack of imagery I'm sharing here today. The other half is a true and honest account of why I've decided to change the way I look at experiences. 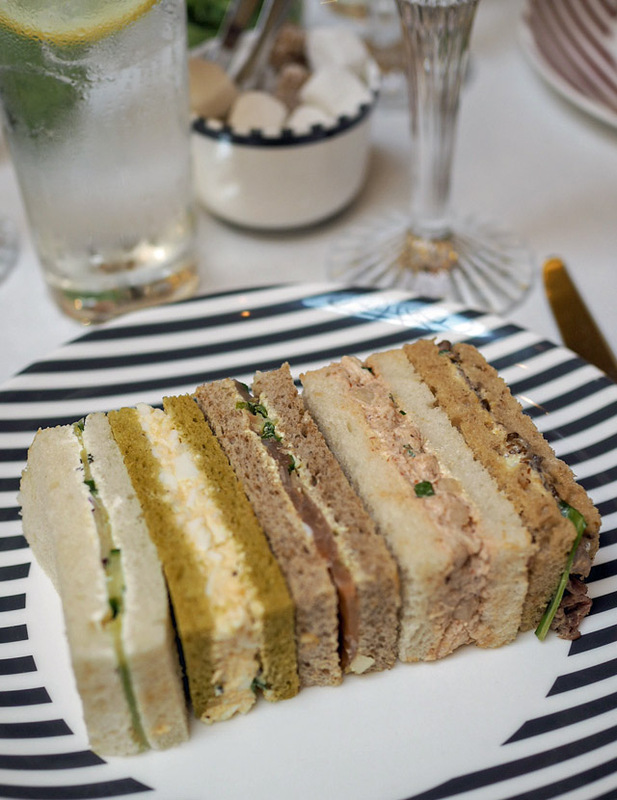 Afternoon Tea at the Corinthia was truly a spectacular moment and I look back on it with so many more mental pictures of how the afternoon unfolded and I feel happier for having those rather than social pictures that will be shared and forgotten after 24 hours. I once read somewhere that the new generation of iPhone users will have a much weaker long term memory than my generation because of the fact that they see everything through their iPhone cameras, rather than looking at the world and creating memories with their own eyes. I'm not sure how much science is behind that, but it certainly makes sense. My advice to you, whether you are an influencer or not, is to live life as if no camera at all were involved. Choose to do things to make mental memories. Oh, and try leaving your camera and phone home for a day or two. It's terrifying and terrific all at the same time! I've done it for 24 hours... still coming to terms with that experience. Now, about this tea. Yes, I'm sure you were waiting for me to eventually get there. 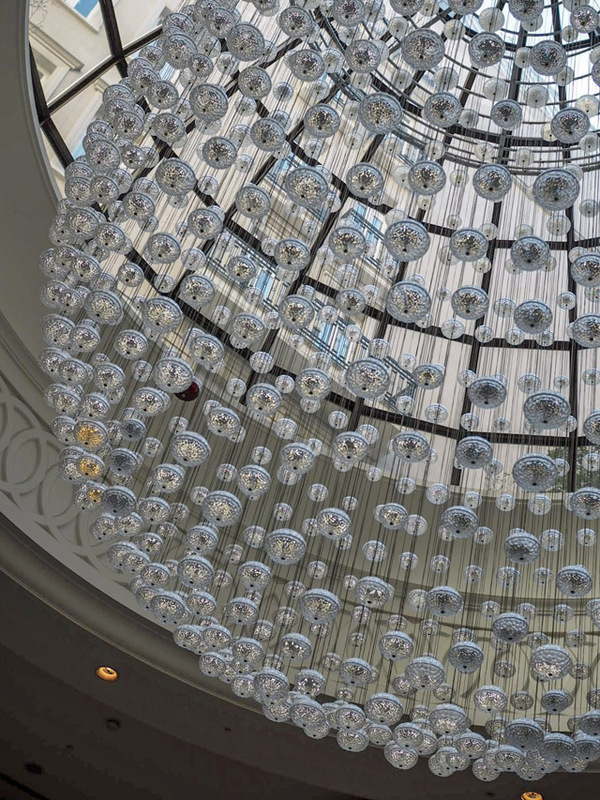 Anyone familiar with the Corinthia hotel in London will know that this is one of most beautiful hotels in the city. 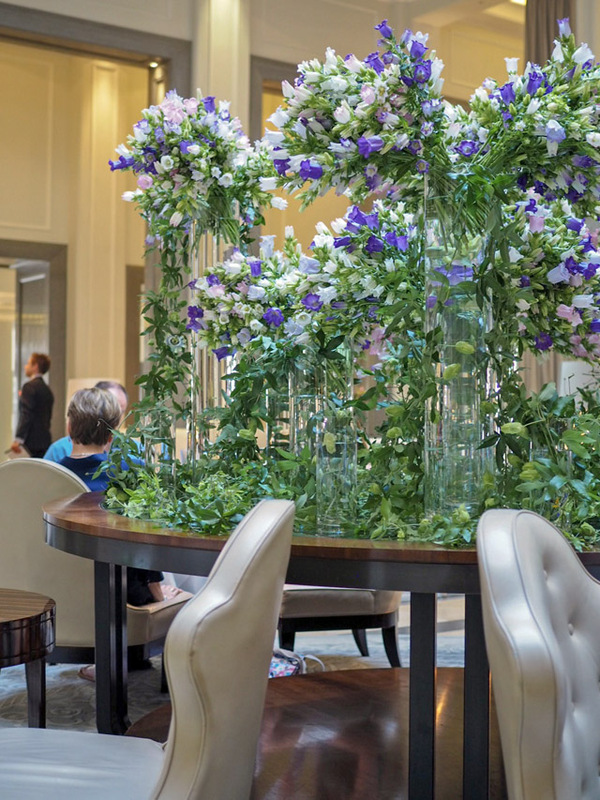 The contemporary decor is simply sensational and the afternoon tea follows the theme with traditional British specialties updated with contemporary touches. 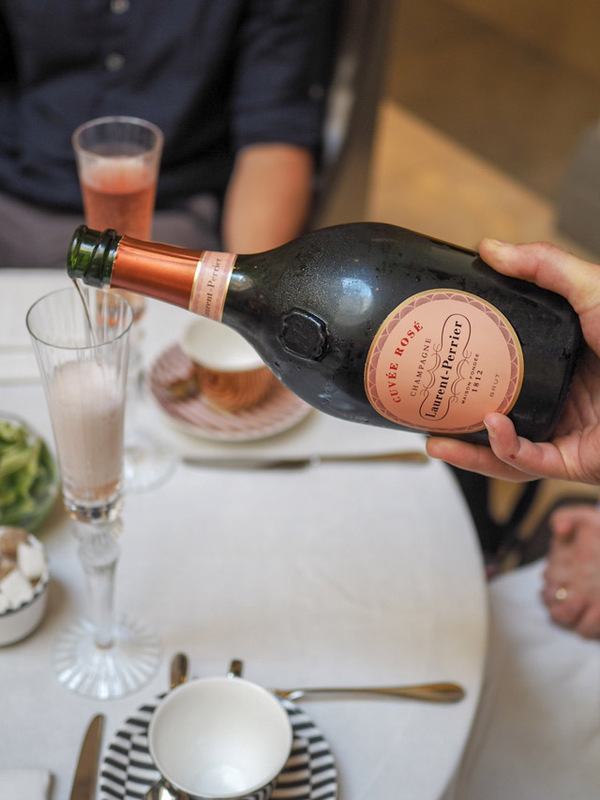 Our tea begins with a glass of Laurent Perrier Rose. One could easily stop there and say no more. Starting an event with LP Rose is surely a sign you are in for a treat. The elegant champagne flutes are swiftly surrounded by monochromatic china, as our table is laid for the first course - finger sandwiches. If memory serves me correctly, we went through two servings of these sandwiches. 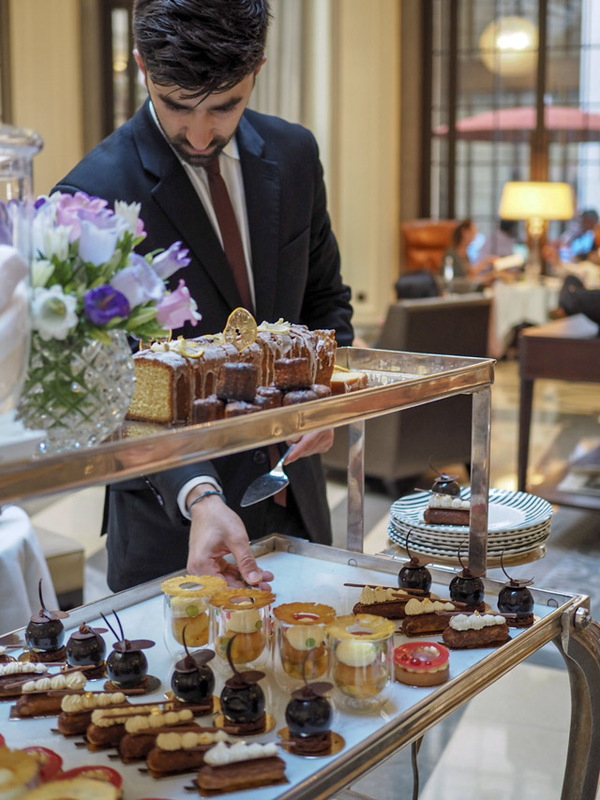 They were sublime and the combinations of fillings were almost completely original to the Corinthia. Let's be fair here and say a lot of London hotels have become increasingly lazy these days and only offer the bog standard fillings. After one or two afternoon teas, this can become very tiresome. So, Corinthia gets high marks for this. Before we could finish off our second plates of sandwiches, our table seemed to procreate. Out of nowhere, we were surrounded by smaller tables and tall tea stands. 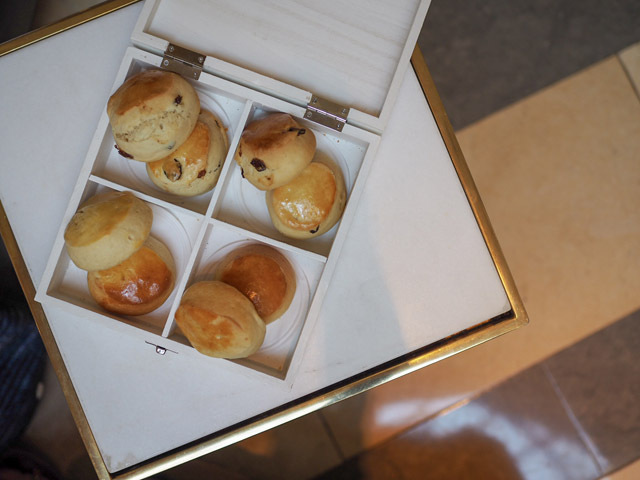 Boxes of scones arrived on the smaller tables in containers waiting to be unlocked, while the clotted cream and jam awaited their unveiling on the main table. Then the candy man came. Well, I call him the candy man because he rolled over to our table with a look of devilish decadence in his eyes. His trolley contained everything from cakes to marshmallows. The tall tea trays to each side of us suddenly had a purpose. They were placed there to be filled with more sugar than our mothers ever would have allowed us in our entire childhoods. Surely as adults we would make the decision to eat these sweets in moderation. Like hell we did. We were off on the sugar rush express. I'm pretty sure that's where the pictures take a turn for the worst. Between the extreme heat from the tropical London weather outside, and the exhaustion from laughing so hard throughout the tea, I was tuckered out. Not even the most delicious iced tea I've ever had in my life (remember I'm Southern), which was suggested by our waiter as he watched me dab away the sweat on my forward upon arrival, seemed to remind me to pick up my camera more. 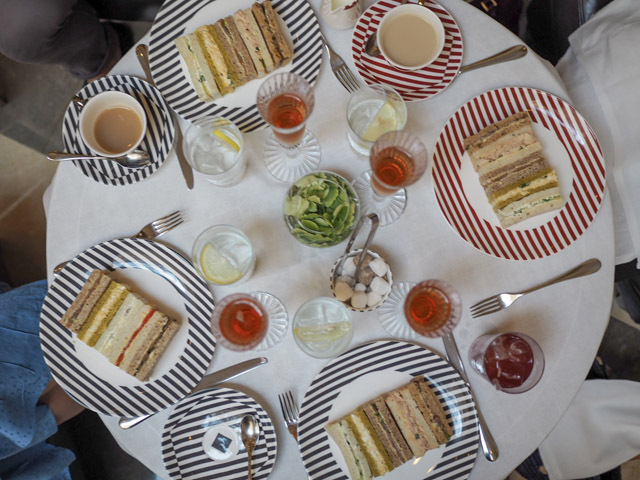 I left dreaming of new iced tea recipes and finger sandwiches, and wishing that the Corinthia was a regular haunt of mine. 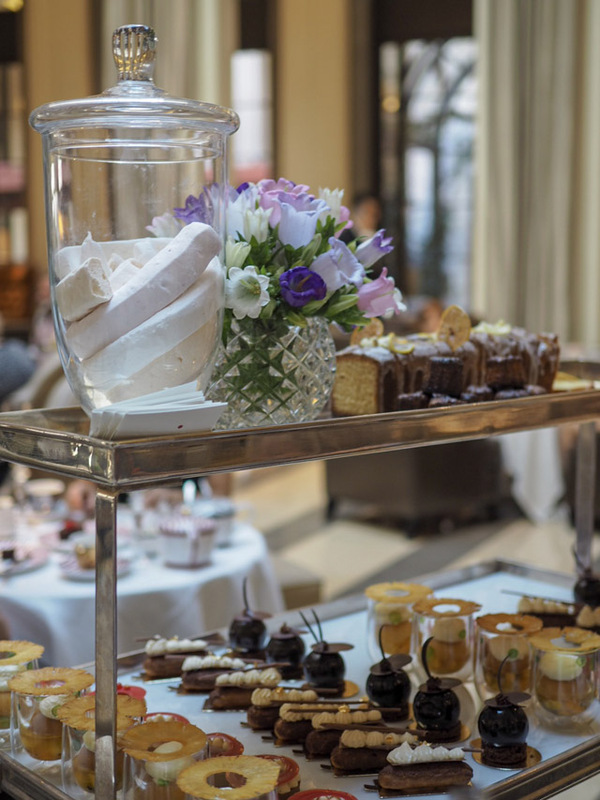 I also left knowing that this would be a place I was happy to recommend to anyone asking me where to consider afternoon tea in London. It's a true gem and a place that will make you forget about even the simplest tasks life demands.... my official test of a great luxury hotel!